Acne Cleanse is an all natural medicated cleansing bar for acne. It is the only certified organic acne cleansing agent. We have blended high concentrations of certified organic Acne Control in a certified organic soap base to create this revolutionary treatment. Acne Cleanse nourishes the skin while providing deep cleansing action to treat acne. This is to be used as a face and full body wash. It is a registered medicine to cleanse acne and acne prone skin. The certified organic medicinal plant extracts in our acne treatments have not only demonstrated to safely treat acne, but are also non invasive as they are very tolerable when applied to the skin. As topical application of Acne Control helps eliminate acne, and is fortified in Acne Cleanse, the resulting medicated cleansing bar represents an especially potent cleansing agent for the treatment of acne prone skin. Our Acne treatments have produced spectacular results in the elimination of acne while helping prevent recurrence. These products therefore have a preventative and curative role in the treatment of acne. As a result, they are amongst the most important and sought after natural acne treatments for home use. Results are guaranteed. Acne Cleanse Medicated Soap not only is incredibly powerful, but is also gentle and exfoliating, providing deep penetrating results. Anyone afflicted with acne will benefit greatly with this medicinal soap and our related topical acne treatment. 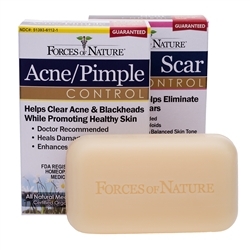 Acne Pimple Control is the only organic medicine on the market to treat acne, pimples, zits and seborrhea. This natural acne treatment is to be applied topically and delivers a profound healing effect upon application. Previously known as Acne No More, it is now registered medicine with the FDA with certified organic ingredients per the USDA. 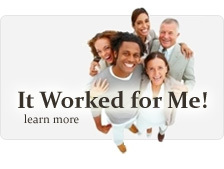 It features our famous healing action of combining two complimentary actions in one. Certified organic homeopathic drugs noted in the Homeopathic Pharmacopoeia of the United States for treating acne are blended with certified organic botanicals to soothe damaged skin. The lipophilic formula absorbs deep into skin tissue, where it works on a cellular level to effectively treat acne and help soothe damaged skin. This product works time after time. Results are backed by our 1-year money back guarantee. This breakthrough scar treatment is helps reduce and eliminate old or new scars while promoting healthy and balanced skin. It is the world’s first FDA registered scar remedy which is certified organic. Results are guaranteed. Scar Control is the only organic scar treatment available. It treats scars and keloids from surgery or accidents. This remedy is perfectly designed and formulated to dissolve scar tissue safely and effectively. Results are backed by our 1-year money back guarantee. Treatment features our famous dual modality approach to remedy scars and scar tissue. It combines certified organic homeopathic agents, which dissolve scar tissue, and soothing botanicals to nourish damaged skin. These added botanicals expand and support the action of the homeopathics. This is a one of a kind proprietary formula manufactured and distributed only by Forces of Nature. It works. The certified organic botanicals in this treatment are highly valuable to nourish the skin. They are and rich in triple unsaturated fatty acids and ketones, which have skin soothing properties. Their liphophilc properties allow them to penetrate deep into cell membranes carrying the homeopathic drugs deep into the tissue. These key botanicals are shipped in directly to our facility from the Banon Plateau in the French Alps. This potent remedy works effectively on old and new scars. Significant results are seen after 1-3 months, depending on the scar severity and age.